Paris has never looked so beautiful in a game. Ubisoft picked the French Revolution for its first new-gen game. And despite its poor launch, Unity is one hell of a game. Boasting the biggest crowds ever in an Assassin’s Creed game, this also had graphics to die for. And 18th century Paris sure looked great here – the detail on buildings such as Notre Dame and the busy streets of Paris being a joy to watch. 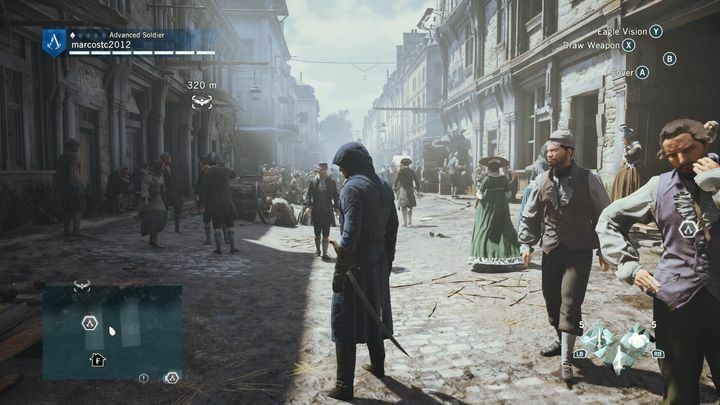 The cinematic scenes depicting protagonist Arno’s life are also brimming with detail. Aside from it being a graphical triumph, Unity’s story’s great, if a little predictable. Arno partners with his childhood love Elise to take out the Templars in revolutionary Paris, and there are plenty of exciting moments throughout. Arno and Elise have great chemistry too – they’re arguably the best pair in Assassin’s Creed to date. Actually, this is the only Assassin’s Creed game I’ve played through twice – it really is a visually stunning, unforgettable game any Assassin’s Creed fan worth his salt should play.